This is a top quality brilliant cut triangle .54cts Tanzanite. All gems come with a certificate of Authenticity. Superb addition to your collection or to use in Jewellery. 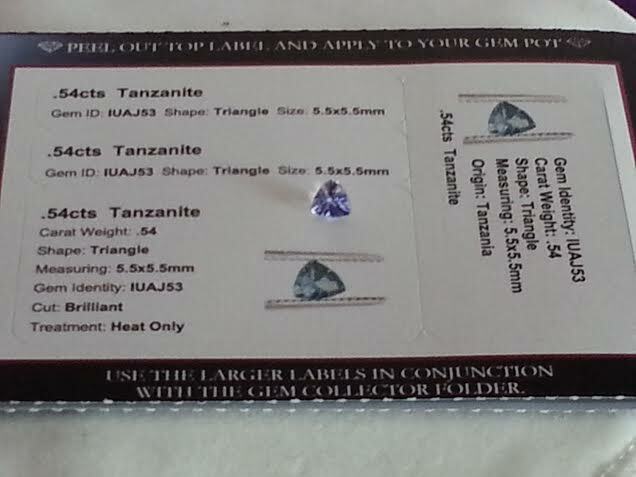 Car boot sale ad details Tanzanite Certified Gemstone .54cts for sale in London. Tanzanite Certified Gemstone .54cts available on car boot sale in London. More Other collectables for sale in London and more second hand sale ads for free on 2lazy2boot - London car boot fairs - 22464.